Barbecue ribs, warm madeleines, gong bao chicken, bacon cheeseburgers, roast leg of lamb, mutton kothu parotta, reuben sandwiches, sticky toffee pudding and jamon croquetas. 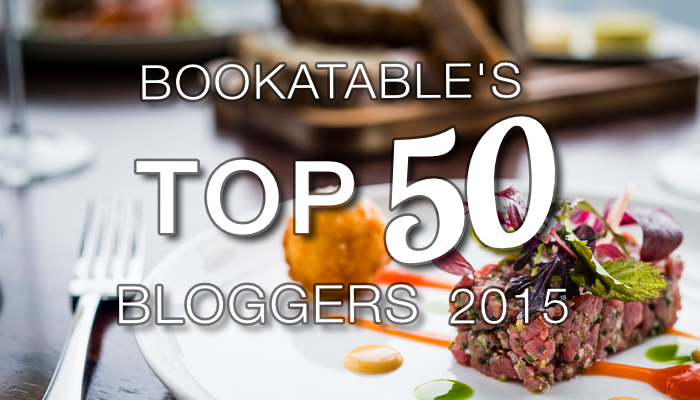 Everyone’s got a bucket list of dishes. These are a few of mine. 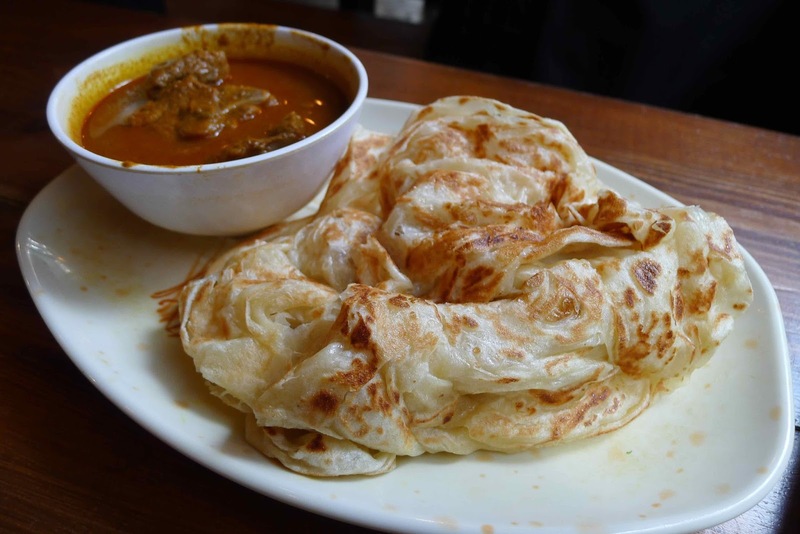 Another dish which I’d call for on my death bed is Roti Canai - the Malaysian flatbread which is traditionally served with a little pot of curry on the side. It’s just so compellingly addictive - crispy on the outside, soft and a little bit elastic and so rich with butter. 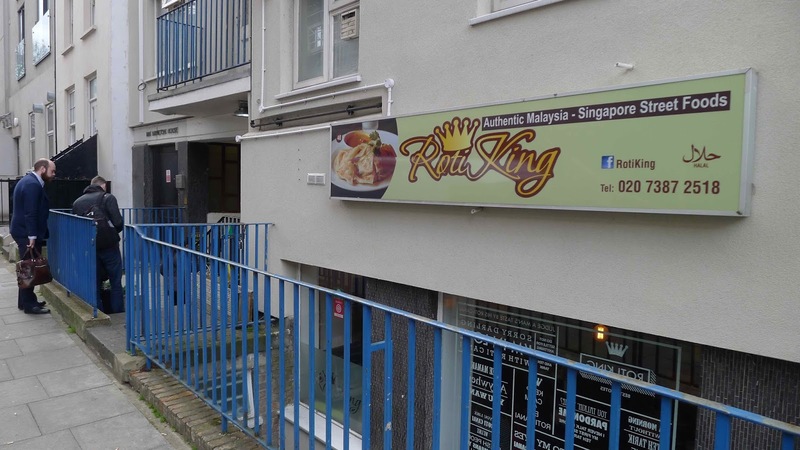 Whilst en route to meet friends in London I made a pit stop at Roti King, an unassuming basement restaurant in a side street near Euston, and managed to eat the best roti canai of my life. The signs were good when the restaurant was already packed to the gills at 12.20pm and by the time I left around 1pm there was a queue of around 15 people snaking up the steps. 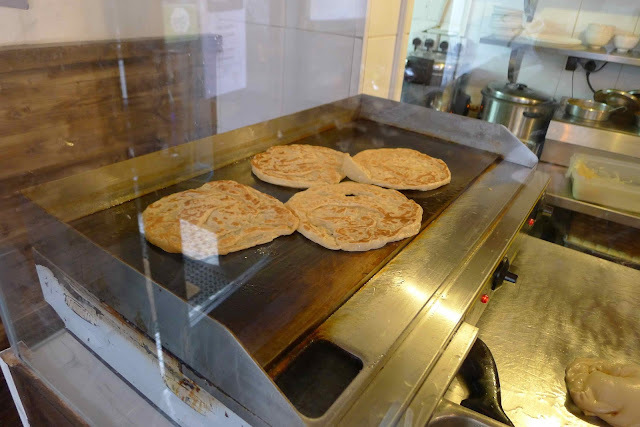 Furthermore, the roti chef stands on view inside the entrance of the restaurant displaying his skilful folding, tossing and stretching of the roti dough - a notoriously difficult skill. 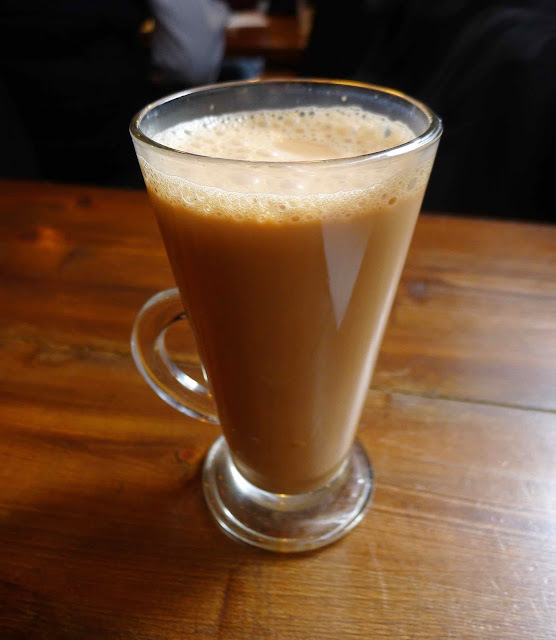 As I shared a bench with a couple of annoyimg Londoners berating the Welsh rugby team and lack of things to do in Wales (I feel increasingly Welsh day by day), I necked a lovely mug of teh tarik. Then the main events arrived. 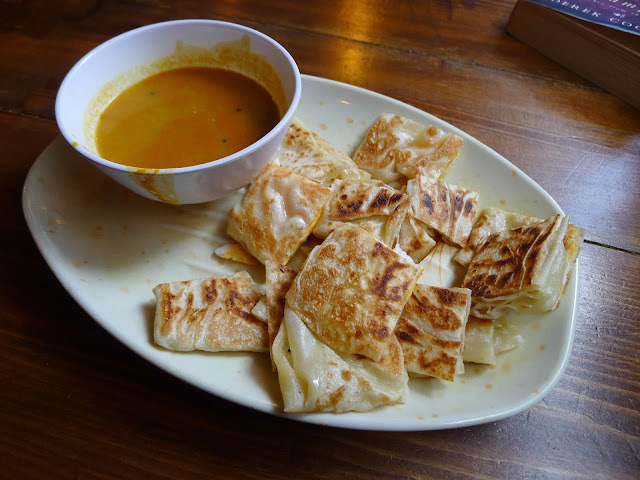 Two stonkingly good roti canai were served with a mega-deeply flavoured on the bone lamb curry. At £5.50 it’s a great value lunch and a generous portion. Even more impressively, if you have dhal instead of lamb then it’s a mere £4 - one of the best value lunches in the capital. As I had to line my stomach before a heavy session on the booze, I of course ordered another dish. Roti Telur (£3), was another stonkingly good flatbread made from the same dough as the roti canai, I think. This time it was stuffed with a golden fried egg and served with a beautifully flavoured pot of dhal on the side. 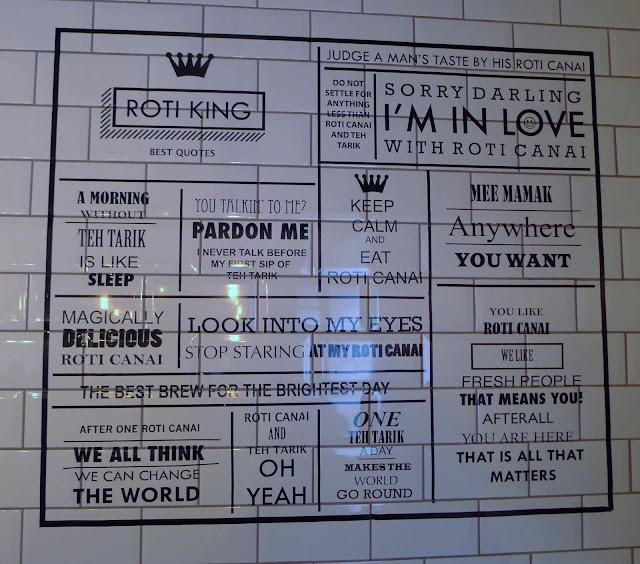 Roti King is the king. 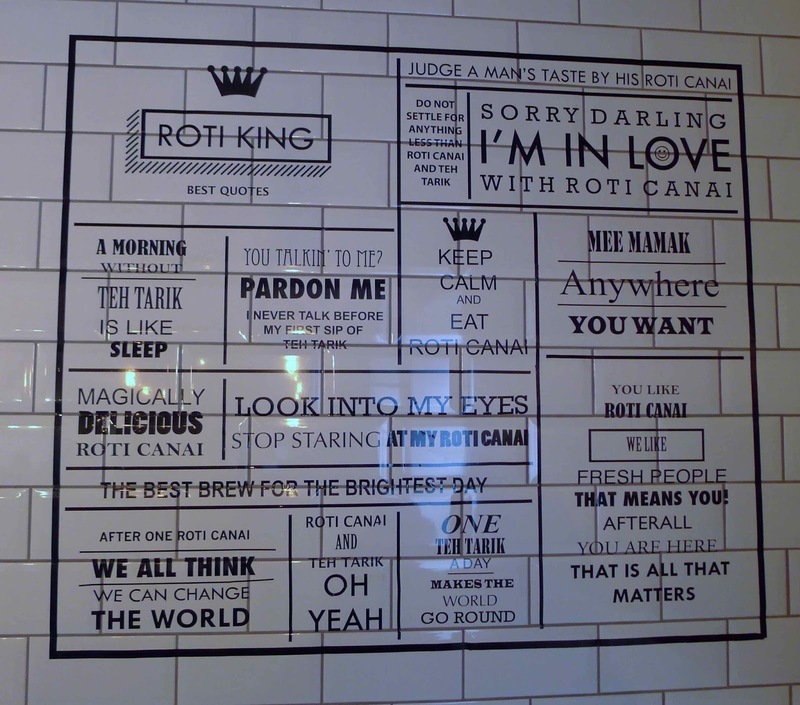 If you’re looking a for a roti canai love-in, then this is the place to have it. I deleted my previous comment as it was a bit harsh. I've tried to get in several times but failed. The food does indeed sound and smell fantastic but how was the service? I found it quite hostile when enquiring about a table. 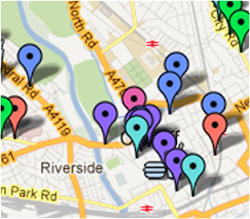 And the Euston area is grim. 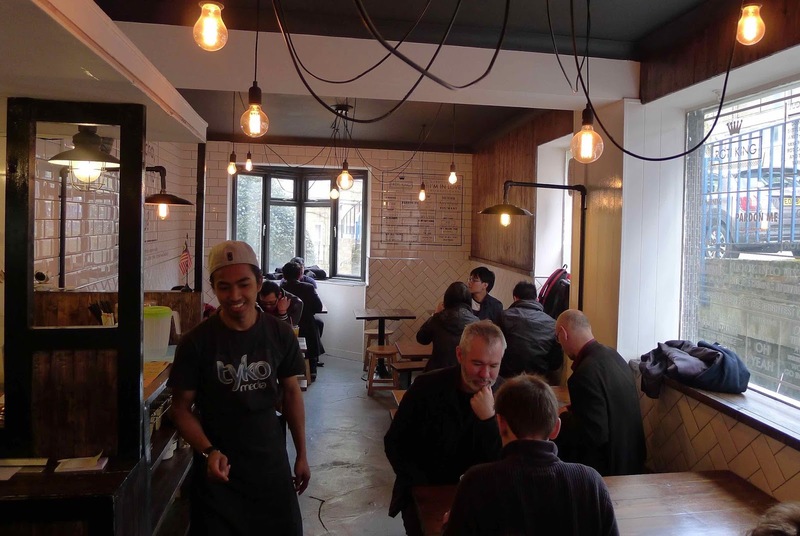 Do you need good food AND good ambience to enjoy a meal? I tend to think so, but that's me. I'll try again and see. @Graham - That's a shame you found the service so hostile - I can imagine things can get pretty fraught when they've got queues out the door but it's definitely no excuse. I found the serving team to be pretty friendly and the atmosphere was buzzing as well. Yes, I most certainly agree you need a good ambience to enjoy a meal. "And the Euston area is grim"
To those of us who live there, however, it's home. Don't mind us and we won't mind you. 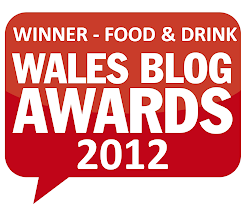 Great review, now I definitely know what to order!! !